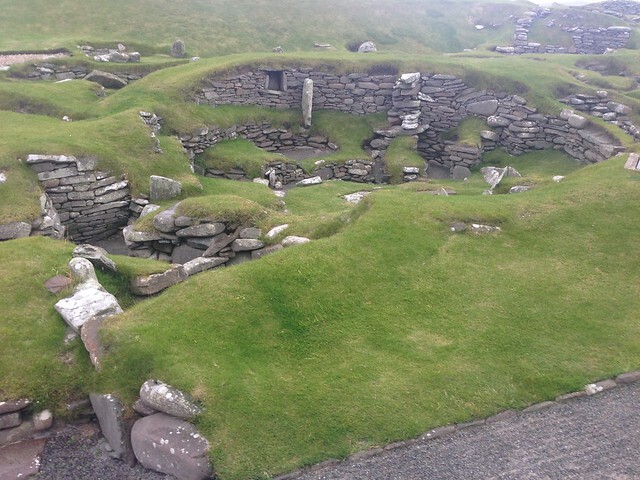 For our summer holidays this year, Colin and I went to the northern isles – my second time to Orkney, our first time to Shetland. 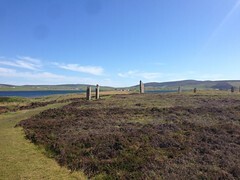 The World Heritage site of the Stones of Stenness, the Ring of Brodgar, Scara Brae and Maes Howe, which I had seen in May 2012, is always worth another visit! 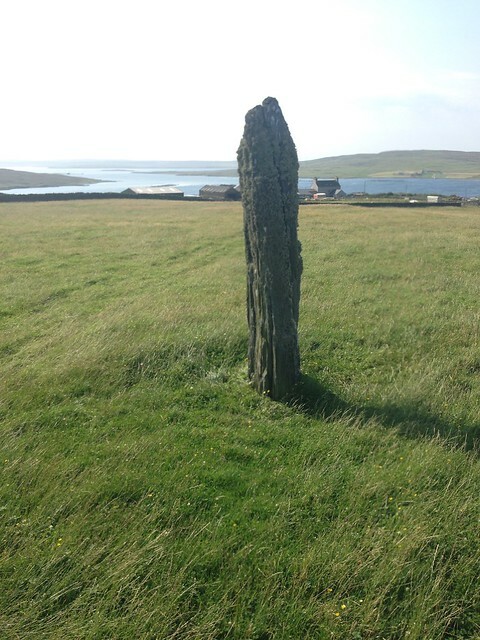 Plus we were able to visit Taversoe Tuick, Blackhammer, the Knowe of Yarso and Mid Howe on the Isle of Rousay, and a number of other smaller sites around the mainland, such as Barnhouse Village, Cuween Hill, Unstan, and Wideford Hill. Lots of photos of all these places on Flickr, as ever. We also drove down across the causeways that join the little islands to the south to visit the Tomb of the Eagles. 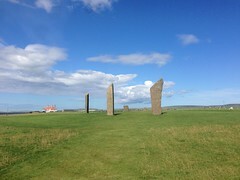 A fuller description of some of these sites is in the May 2012 blog. 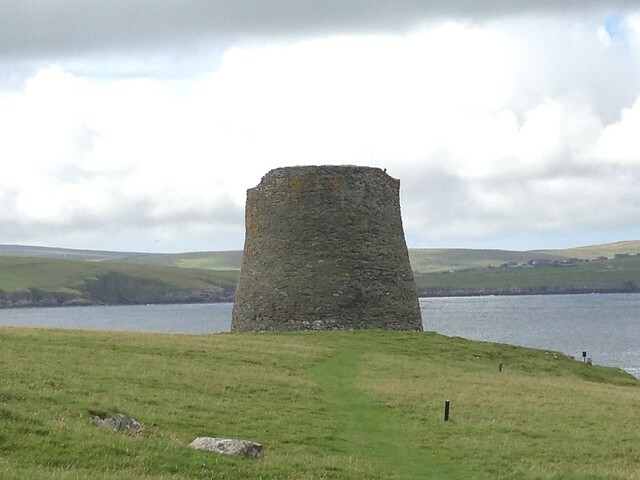 Shetland is quite a different place altogether. Because of the huge oil terminal the roads are probably the best of all the roads on all the Scottish isles – bar none – and better than many of the roads on the mainland! 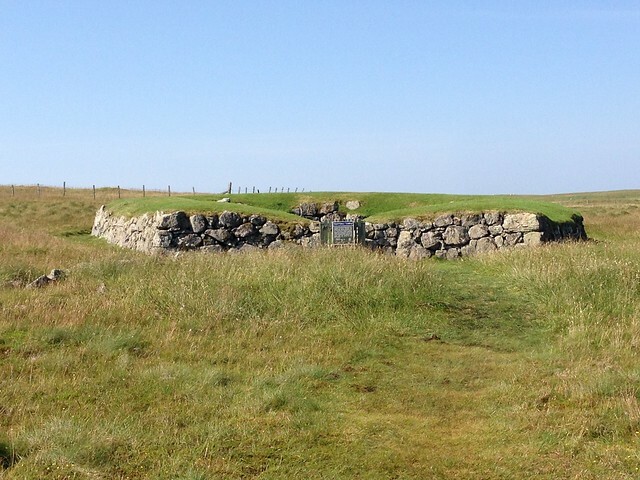 There are lots of interesting little megalithic places to visit, too, including the Stanydale Temple, and a number of single and pairs of standing stones. 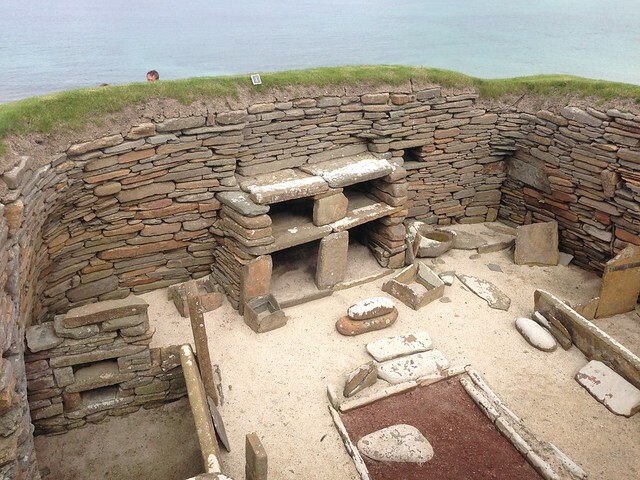 There is also, on the south coast, the extraordinary settlement of Jarlshof, and on the tiny island of Mousa, the best preserved Iron Age Broch in all of Scotland. Here are some of the photos – more as ever on Flickr. 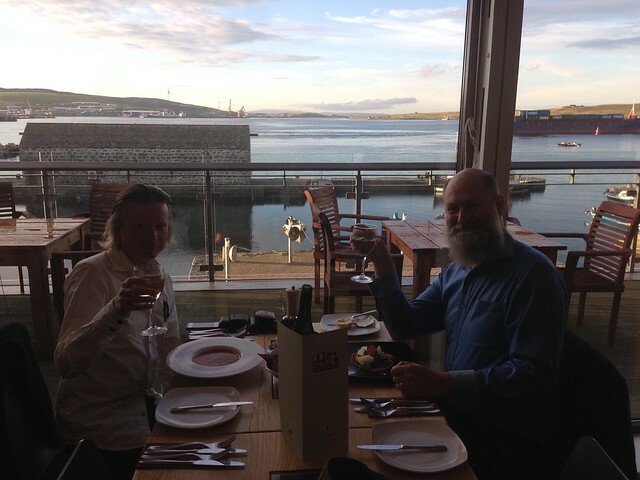 Best of all was a fabulous first anniversary dinner overlooking Lerwick harbour.